Lee and his wife Megan have run Arklow, a beef cattle property at Dulacca since 1988. 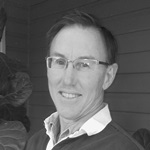 After graduating in Veterinary Science from The University of Queensland, Lee completed a Masters in rangeland ecology at the University of California, Berkeley. 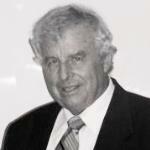 From 1972-88 he supervised the TB and Brucellosis eradication programs for the North Australian Pastoral Company. Lee and Megan have a lifelong commitment to building better rural communities. Megan received an OAM for her work with the Isolated Children’s Parents’ Association while Lee is a former Murilla Shire Councillor and founding member and “Codfather” of the Condamine Cods Rugby Club. Bruce has been involved in agriculture since the 1980s. With an Assoc Dip Farm Management, he and his wife Margaret operate ‘Berwyndale”, an irrigated and dryland cropping and cattle enterprise. There is an emphasis on good soil biology with the use of on farm composting and strategic crop rotations. Dealing with almost every csg scenario on “Berwyndale” for 13 years gives Bruce a desire to see less talk and more action in the way Companies integrate with the rural sector. Ian and wife Rita not only run a small grazing property north east of Dalby but also operate a water drilling business. 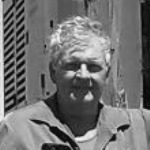 Ian has been drilling since 1977 and in this time has worked across most of the Great Artesian Basin in Queensland, drilling water bores from deep artesian bores, down to the smallest of stock and domestic bores. Ian has drilled through nearly all of the formations in the Surat Basin to construct water bores and understand the impacts that CSG will have on these aquifers. Max is a Brisbane-based engineer, is the principal of MWA Environmental, a specialist consultancy in water, air quality and noise impact assessment and management. His involvement in agribusiness includes developing and managing a medium-sized feedlot. Wambo Feedlot lies across boundaries between Arrow and QGC leases near Daandine and adjoins the Braemar power stations and gas pipelines. The feedlot utilises untreated CSG water and provides facilities for the development of ion exchange processes for the sustainable recovery of this groundwater resource. John has lived on the family properties at Wandoan all his life. 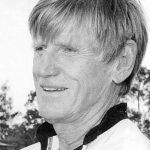 He attended Wandoan State School and Marist College, Ashgrove. 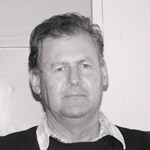 Married with 4 adult children and 2 grandchildren, John will bring his wealth of knowledge of the land to the committee.